I have enjoyed classic Car restoration for many years. I have also enjoyed collecting and restoration of clocks and watches. My commitment and passion for horological history and technology have lead me to collect a workshop full of professional tools and a vast collection of mechanical objects that measure time. I got started on car clocks when I was asked to help a friend who needed a working clock in his Mercedes Benz Fintail 220 sedan. I had a collection of clocks in storage that I had not tested yet. To my surprise, the five Fintail clocks that I tested all failed to function. I took one of the Fintail clocks apart and quickly understood the problem and got it running. Out of curiosity, I researched the history of the automobile clocks and evolution from purely mechanical to electro-mechanical to quartz and finally to micro-circuit computer clocks. All of the luxury cars made before 1970 have mechanical or electro-mechanical clocks that have metal gears and escapements like a pocket watch. The electric winding mechanism was introduced in the late 1950s and was improved incrementally until Quartz movements became available in the 1970s. 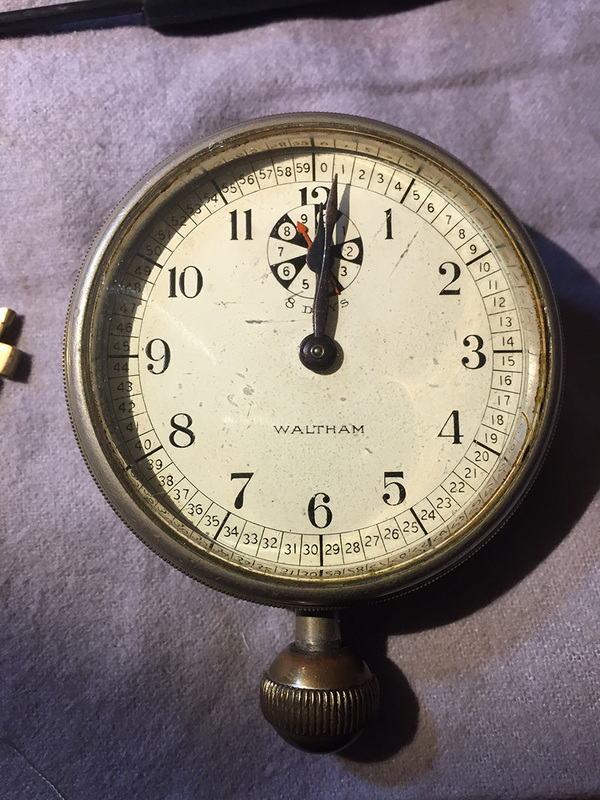 I repaired many pocket watches before dicovering that car clocks would require the same skills and tools to restore their functionality. The electro-mechanical movements used by Mercedes Benz fall into three generations of design: Ponton, Fintail and 3rd generation that includes W111 coupes, cabriolets, SL cars, W108/W115 sedans and W114 coupes. I repaired all of the clocks that I had in storage. Then I repaired clocks for my friends who insisted on paying me. The word got out that I am repairing classic car clocks and more people contacted me for restoration of their car clock. I embraced the opportunity to start a small business and built the supporting infrastructure. The quartz clocks have plastic gears to move the clock hands and are not spring powered. I am choosing not to dilute my focus with service of quartz movements at this time. Quartz can easily be replaced with a new movement that is cheap and easy to acquire. 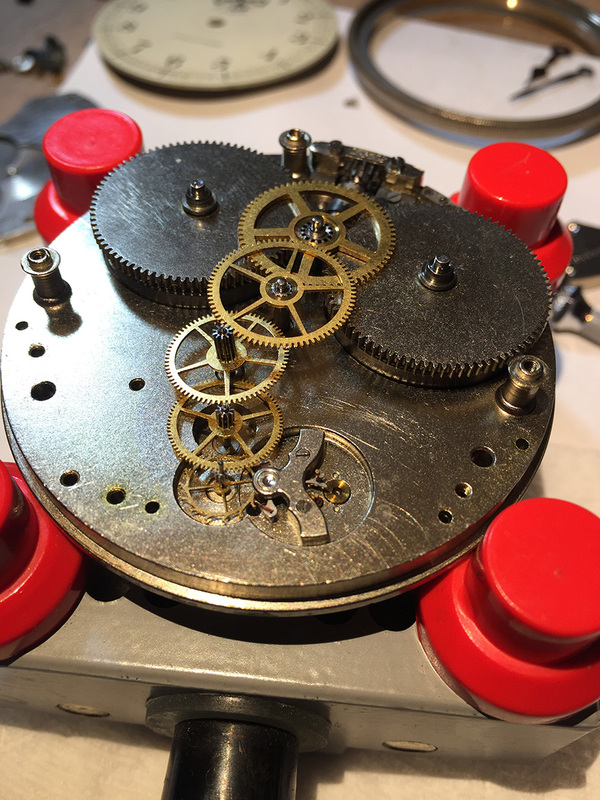 It will typically take me three hours to complete the basic lubrication and calibration service on a VDO Kienzle electro-mechanical clock. It took me fifteen years of studying and learning and practice to repair a car clock!